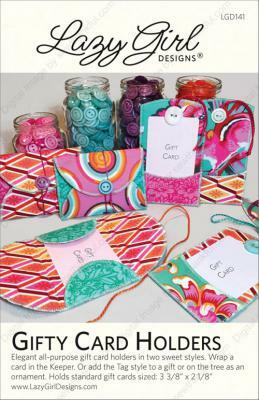 Gifty Card Holder sewing pattern by Joan Hawley of Lazy Girl Designs. 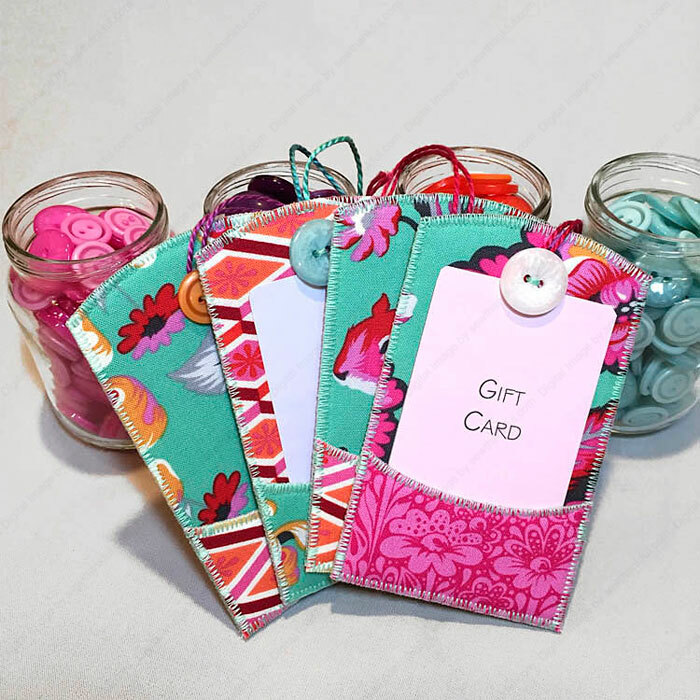 With the Gifty Card Holder, you'll easily personalize or wrap a gift card with these two sweet styles. -The Keeper style wraps closed like a little envelope. 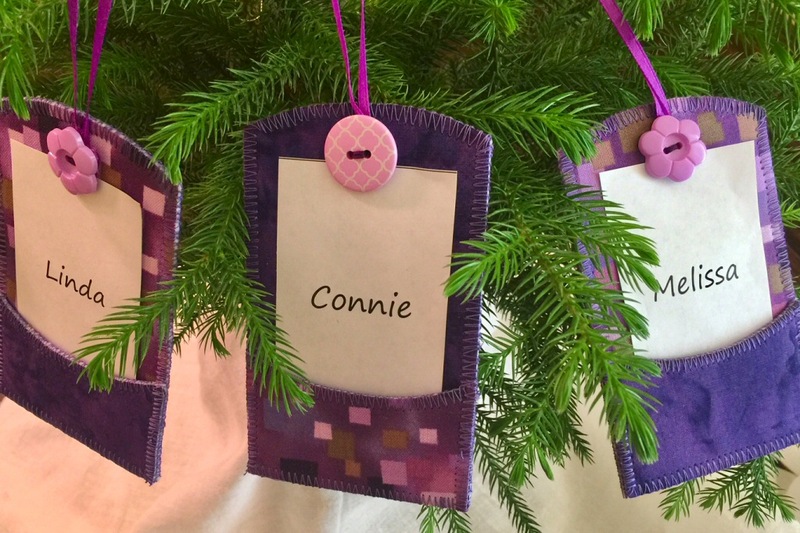 -The Tag style looks great tied to a package or as a tree ornament. They are my new essentials in gift card giving! Cut shapes, stitch the edges, then finish. Quick, easy, and addictive. 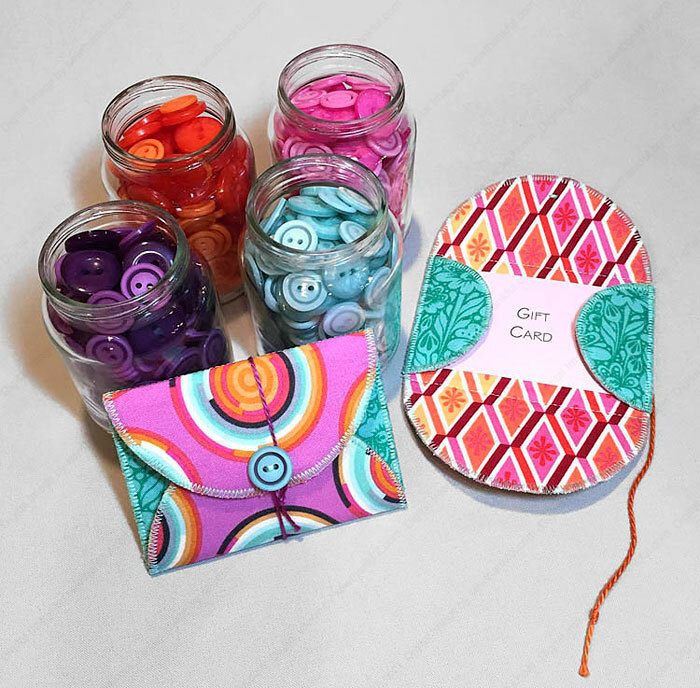 Perfect for YEAR-ROUND crafting, stitching and gifting. Birthdays, holidays, "just-because" days! 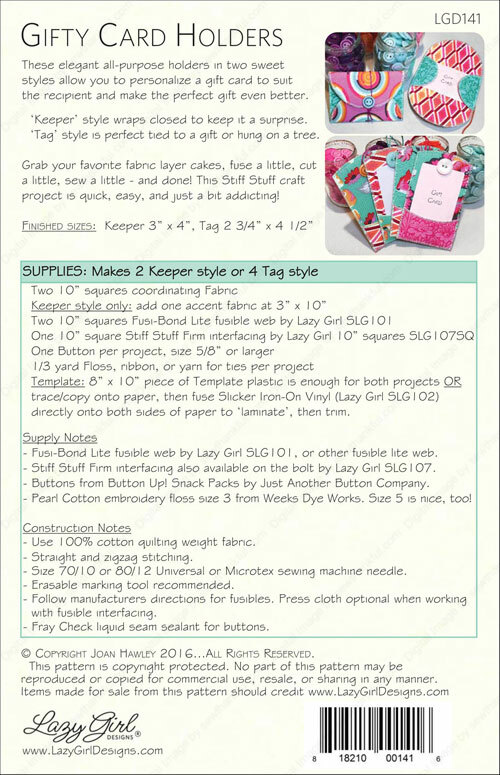 One 10″ sandwich makes two Keeper style or four Tag style holders. Go ahead and use up those small pieces of fabric left over from other projects. 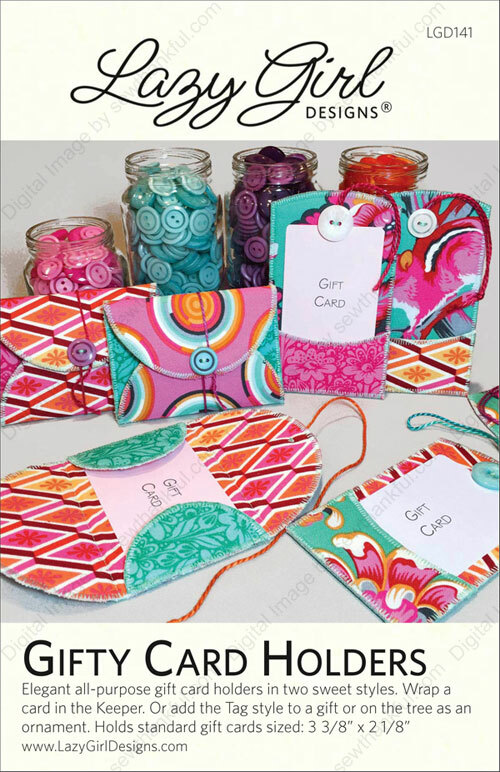 Love, love, love these sweet GIFTY Card Holders! Love my new pattern - - - it arrived so quickly! I've made 2 so far . . . fun and easy to follow ! !